Have a cup of tea with our Admissions Team. Thank you for your interest in French American International School. This page is for families with students applying for Pre-K through Grade 8. We value each applicant, and through the course of the admissions process, we make every effort to get to know each child and family as best as we can. Click here for our admissions process, step-by-step. For high school admissions, please visit this page. Above all, we want to be available to you. Please contact us if you need more information about a topic that interests you or if you need additional materials. For Lower School admissions, please contact Andrew Brown, Dean of Admissions or Jacqueline Mae Culas, Admissions Coordinator. There is no better way to see what we do than to come to an Open House, schedule a tour of campus, attend one of our community events, or, yes—join us for a cup of tea. Our doors are open, and we look forward to welcoming you in person soon. 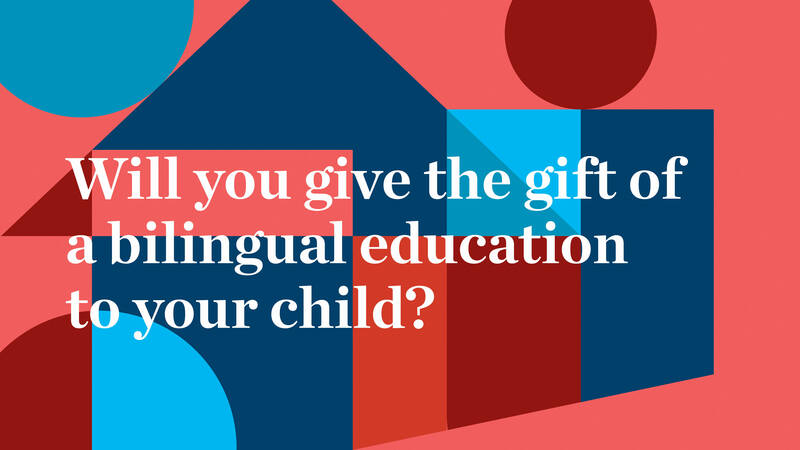 Bilingualism is a gift that can open doors. The insights and intuitions that develop from becoming a bilingual can never be unlearned. They are the backdrop for developing confident, principled, open, and compassionate individuals.